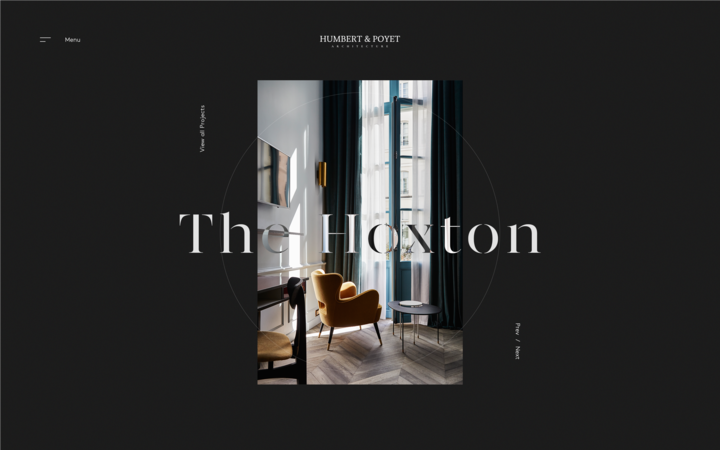 As an agency that values the connection between heritage and innovation, we were commissioned by Humbert & Poyet to represent their interior masterpieces in a digital dimension. 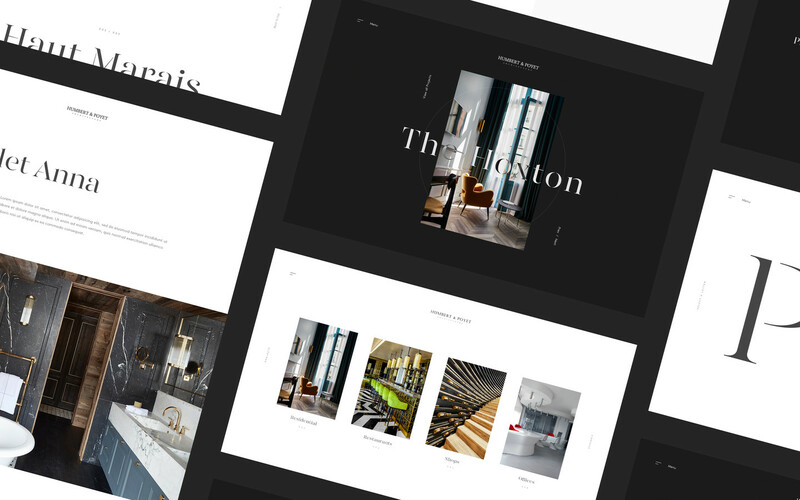 To create a design structure that is visually memorable, elevating the browsing experience without competing with the projects themselves. 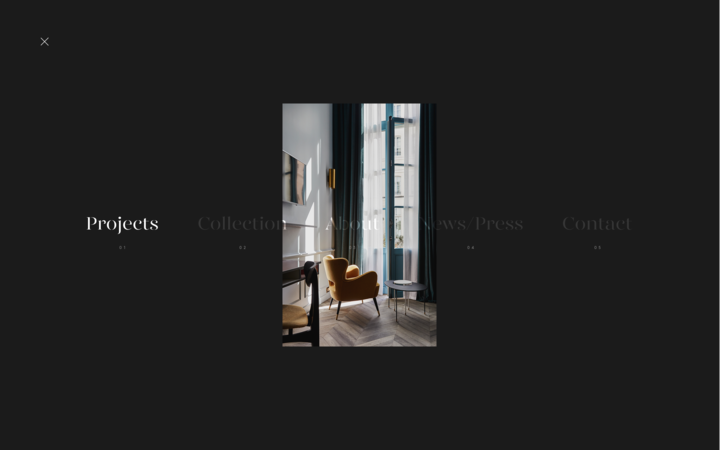 Projects are prominently featured on the homepage with scroll triggered interactions. 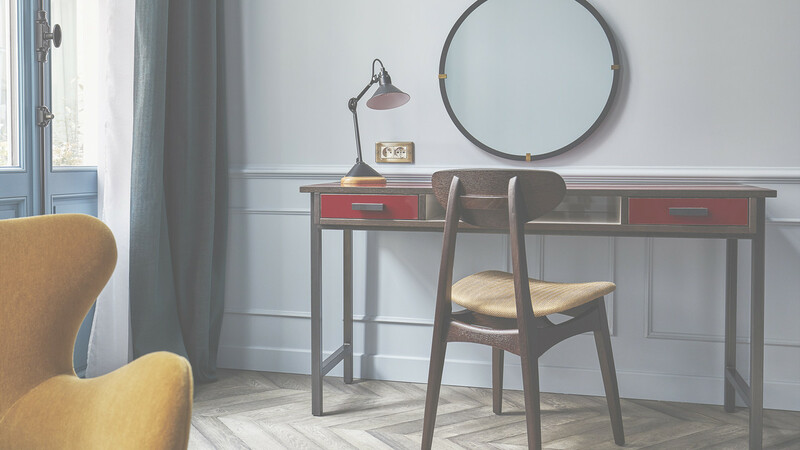 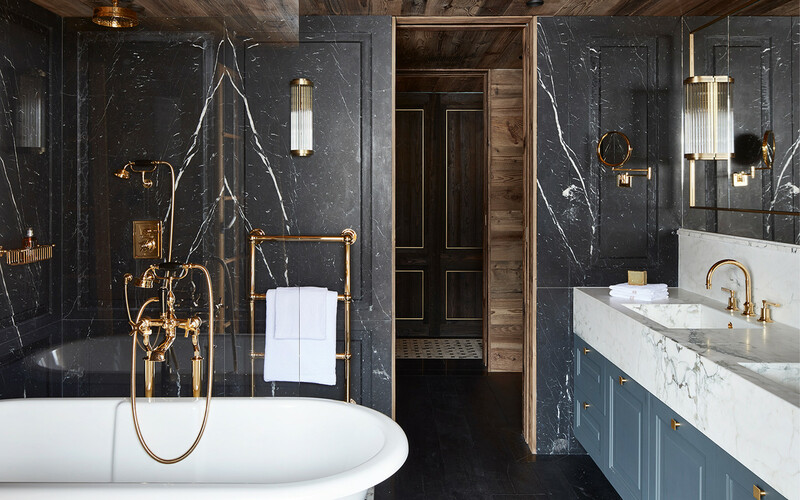 Imagery of beautiful interiors are highlighted, shown against a bold, modernly ornate serif. 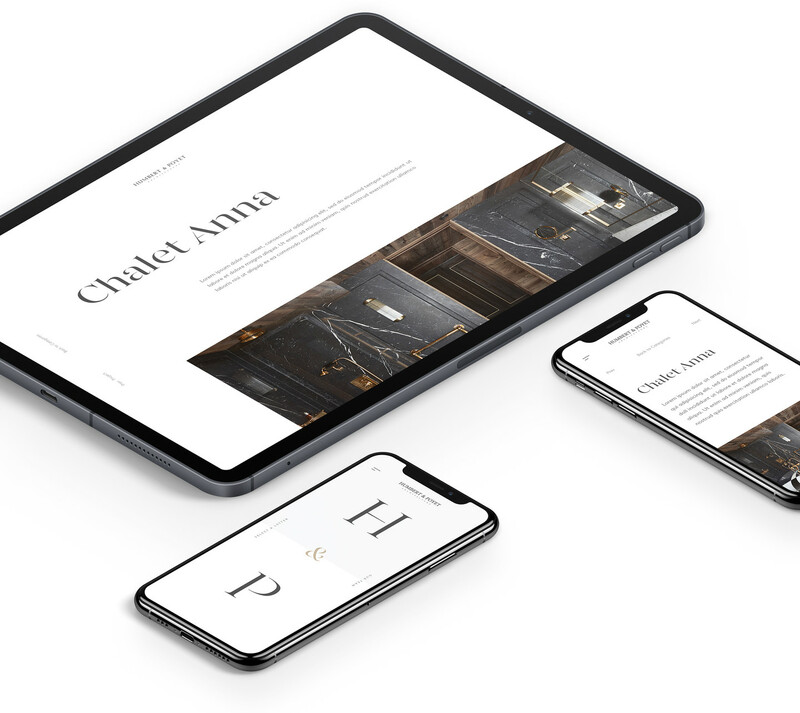 To retain creative integrity across devices, we also designed the experience specifically for mobile. 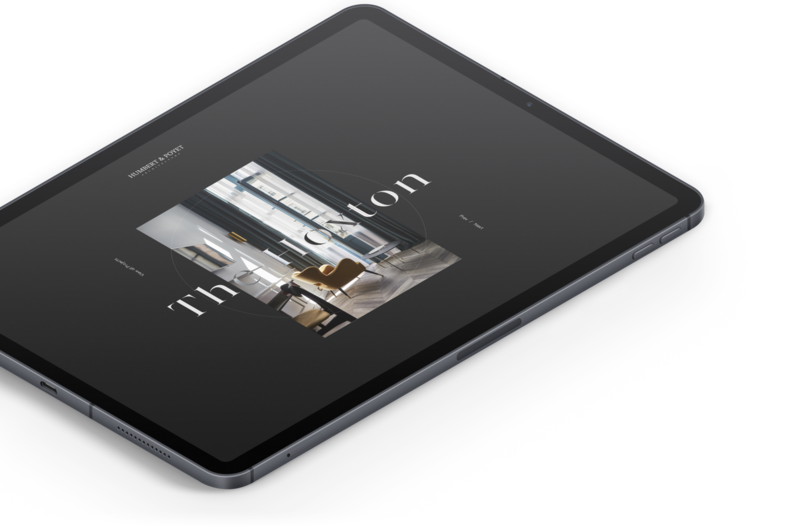 Smooth interactions and animations from the desktop continue to interact with the user through scrolling and swiping on the phone. 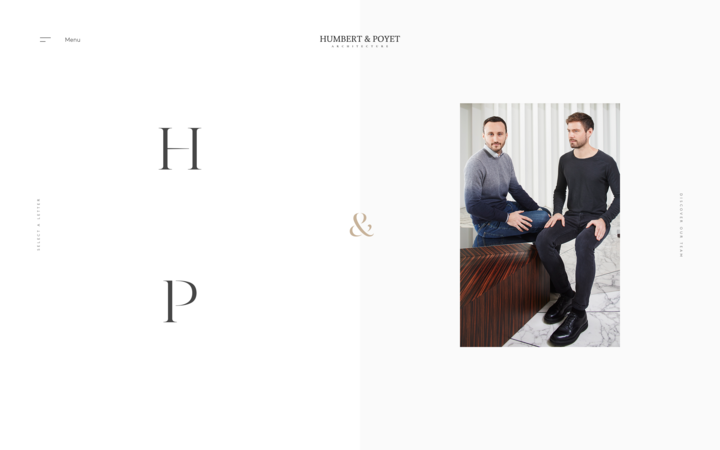 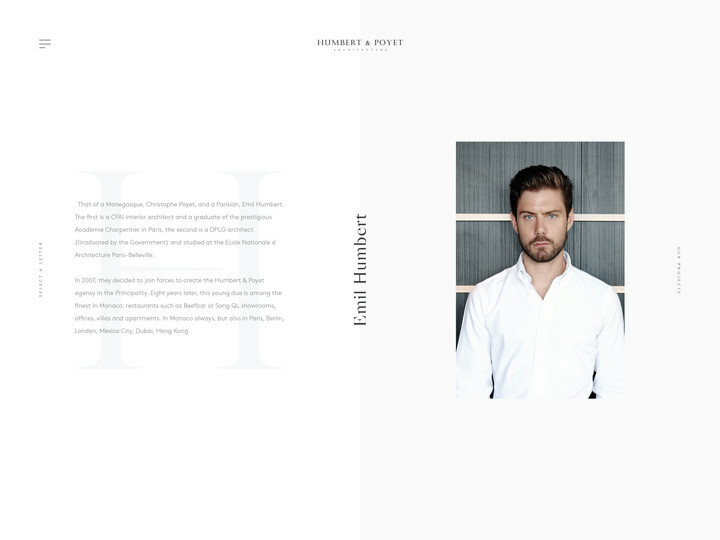 Unified under one digital experience, we created a strong visual identity to represent Humbert & Poyet as a cohesive brand. 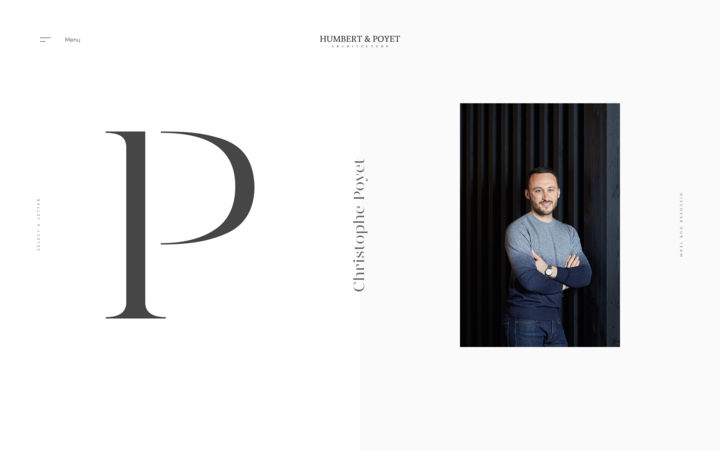 The prolific work of interior design duo, Emil Humbert & Christophe Poyet can be enjoyed in cosmopolitan cities around the world. 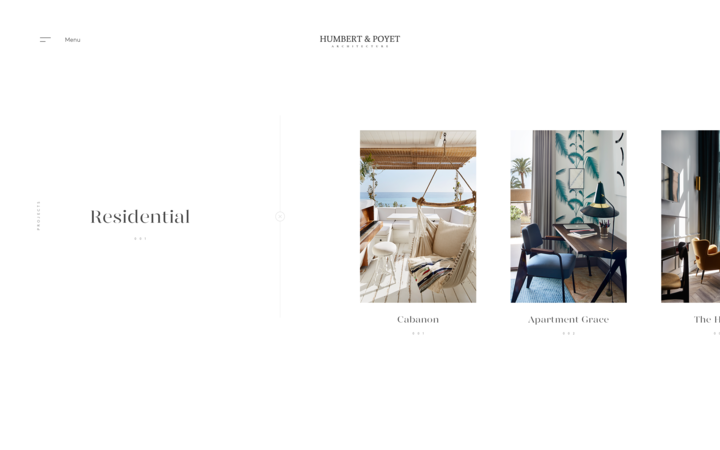 With the launch of their new portfolio website, the renown work of Humbert & Poyet's architectural accomplishments can also be appreciated online.